I was walking home with my best friend, and hanging perfectly on the dumpster by my apartment was this flannel. It didn't seem to dirty or damaged, so I took it home and washed it. 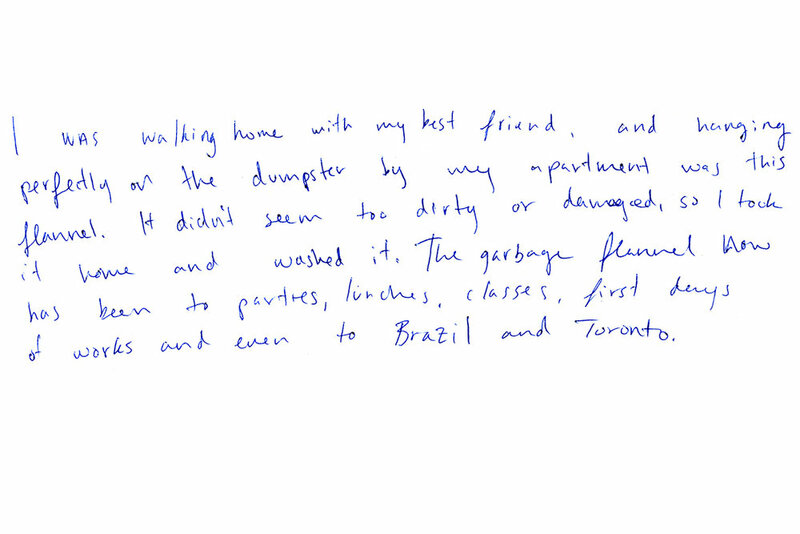 The garbage flannel now has been to parties, lunches, classes, first days of works and even to Brazil and Toronto.